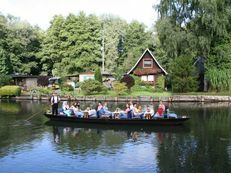 The Spreewald, also known as "the Green Venice", represents a unique natural landscape with its extensive network of small rivers measuring around 970 km in length. 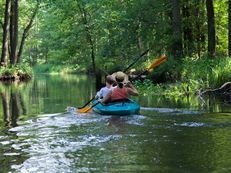 The Spreewald Biosphere Reserve which is a UNESCO World Heritage Site, is a popular destination for visitors looking for rest and relaxation in nature. 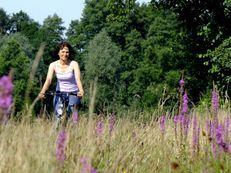 The Spreewald boasts many locations and towns for you to explore on your holiday there. 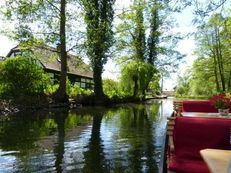 Old half-timbered houses and small island farmsteads stand on the natural waterways which are called "Fließe" in the Spreewald. 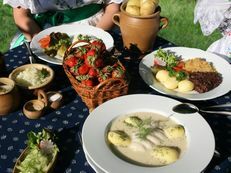 Discover the typical crafts and learn more about the culture and tradition of the Spreewald while on an unforgettable journey of adventure through the towns and villages of the Spreewald.